Looking for a great waterfront home in the Mt. Hood area? Look no more at this Sandy Riverfront custom home! 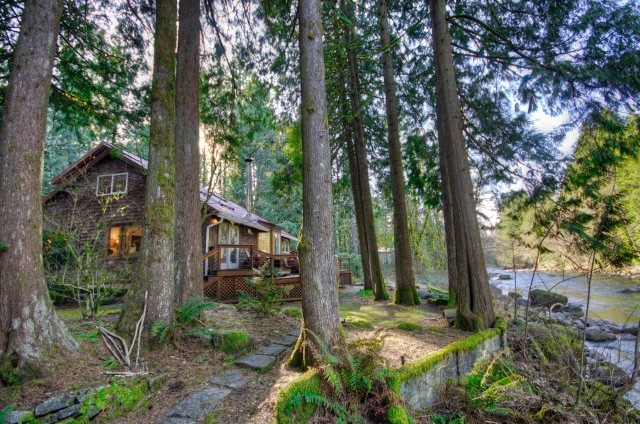 New to the market, this private custom built home has a wall of windows to watch the river flow by. It's sits above a gentle bank on a jr. acre of land. The great room is perfect for family gatherings or entertaining. A big deck sits on the river side of the house and a sandy beach area is below with a campfire ring. Theres no lawn to mow and the owners have kept the landscaping natural. More details on this Mt. Hood custom built Sandy Riverfront Home.